The deck maintenance industry is exploding and there is a vast amount of information out there that is not only confusing, but often inaccurate. Scrub A Dub Industries offers accurate answers to a wide array of deck maintenance issues. What you will find in this site represents the compilation of over 30 years of hands on experience with pressure washing equipment and protective coatings. Scrub A Dub Industries is receiving acclaim from some of the most prominent deck maintenance companies in the country as the definitive source of accurate information available anywhere. Given the constant evolution of techniques and protective coatings over the past several years, it was just a matter of time before a resource of this kind was formed. We are proud of the result and hope that you will spend a few minutes on the site viewing the material. Of course, this site will continue to evolve as well and we encourage you to send us your comments and even your experiences. Scrub A Dub Industries, or SDI, is a Long Island, New York company that has been in the wood care industry since 1982. We are fully licensed and insured. We also have a 5 star rating with our customers, below are some testimonials from a few of our customers. My experience with Scrub a Dub, was excellent! They showed up on time were very professional and clean. 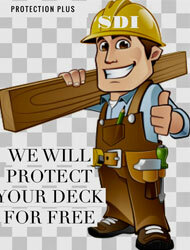 They made our deck safe for the whole family and love the color of the stain they recommended. Two thumbs up. 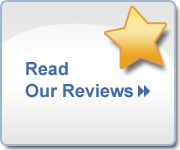 A company I can recommend for the past 15 years my husband and I have used the services of SDI, and they have been no less than wonderful. They have always lived up to their commitment and yes there were one or two times we had concerns but they were always addressed quickly.